The Tree-Guard Set by Slackline-Tools is a must for those who respect the environment while slacklining. The set includes two protective strips each with a length of 2.8 m made of an elastic ilira-Stretch-Material. 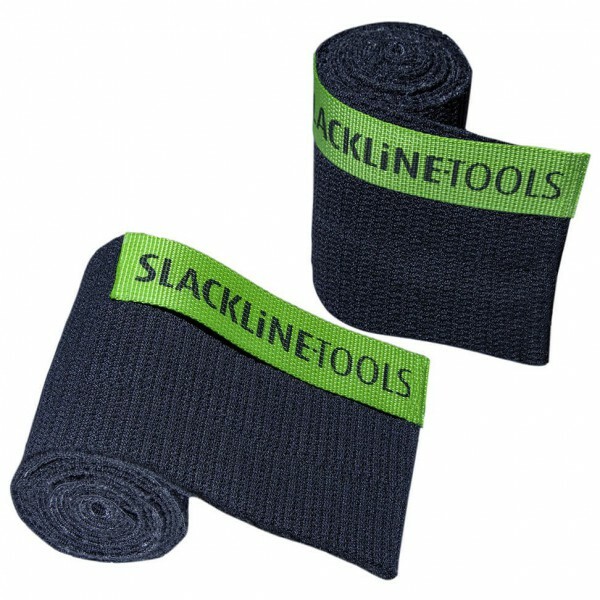 It adapts smoothly to the structure of the bark and protects it from damages caused by the slackline webbing. You attach it with a hook-and-loop fastener. What a treat for the environment!